Heartburn is so common that more than 40% of Americans experience its pains at least once a month.1 Of that, almost 95% of people with heartburn symptoms correlate the pains to specific foods.1 It is no surprise that heartburn sufferers can distinguish which foods trigger symptoms because certain foods create responses in the stomach.2 It is so common that almost every person will experience heartburn symptoms at some point in their life. But why is that? What does this mean? Both studies saw a significant decrease in heartburn symptoms with the reduction of carbohydrates. In evaluating the carbohydrates of the subjects, sucrose was higher in the dietary intakes of women with GERD.4 It could be possible that sugar influences lower esophageal sphincter function.4 A ketogenic diet reduces the amount of carbohydrate intake under 20 g/day creating an optimal range for heartburn sufferers. The diet also eliminates over-consumption of many food triggers. While it is always best to consult your doctor before dietary changes, a ketogenic diet could be the right diet to treat GERD and heartburn sufferers. 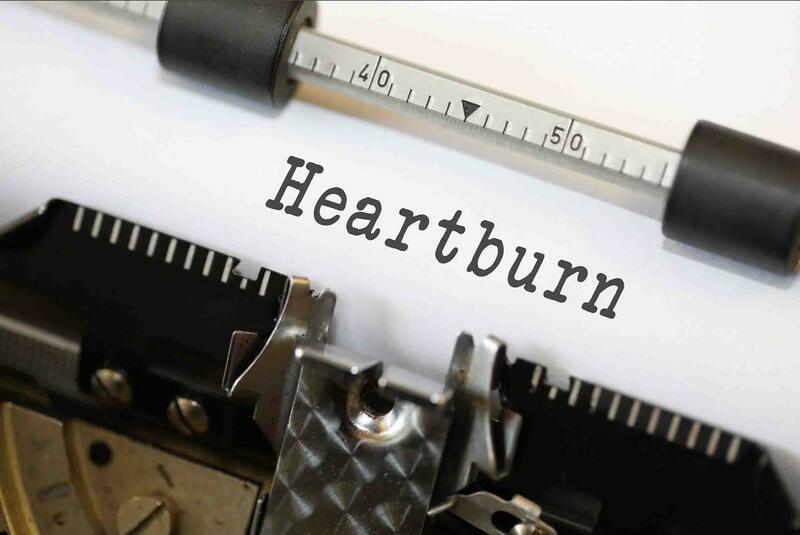 1 “Statistics about Heartburn.” Florida Hospital, www.floridahospital.com/heartburn-gerd/statistics-about-heartburn. 2 “What Is Heartburn?” WebMD, WebMD, www.webmd.com/heartburn-gerd/guide/understanding-heartburn-basics. 3 Austin, G L, et al. “A Very Low-Carbohydrate Diet Improves Gastroesophageal Reflux and Its Symptoms.” Digestive Diseases and Sciences., U.S. National Library of Medicine, Aug. 2006, www.ncbi.nlm.nih.gov/pubmed/16871438. 4 Pointer, S. D., et al. “Dietary Carbohydrate Intake, Insulin Resistance and Gastro‐Oesophageal Reflux Disease: a Pilot Study in European‐ and African‐American Obese Women.” Alimentary Pharmacology & Therapeutics, Wiley/Blackwell (10.1111), 1 Sept. 2016, onlinelibrary.wiley.com/doi/full/10.1111/apt.13784. Editor’s Note: Fill Your Plate neither endorses or supports this type of diet, but encourages readers to always consult with your doctor regarding special diets. This series shares one nutrition student’s experience with the diet. This entry was posted in Cooking, Dairy, Diet Tips, Eggs, Fill Your Plate, Food, Grocery, Health Tips, Healthy Eating, Pork, Produce, Recipes and tagged Acid, Burn, Heart, Pain, Reflex, Stomach. Bookmark the permalink.